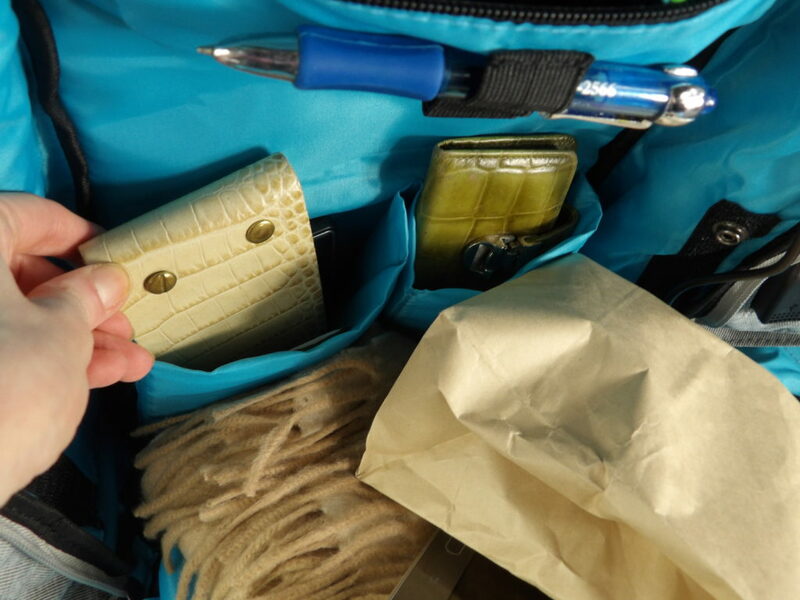 We often carry valuable gear to work and school, and even on vacation. And when we travel, we generally tend to carry our tablet, laptop, camera gear and other expenses wares. 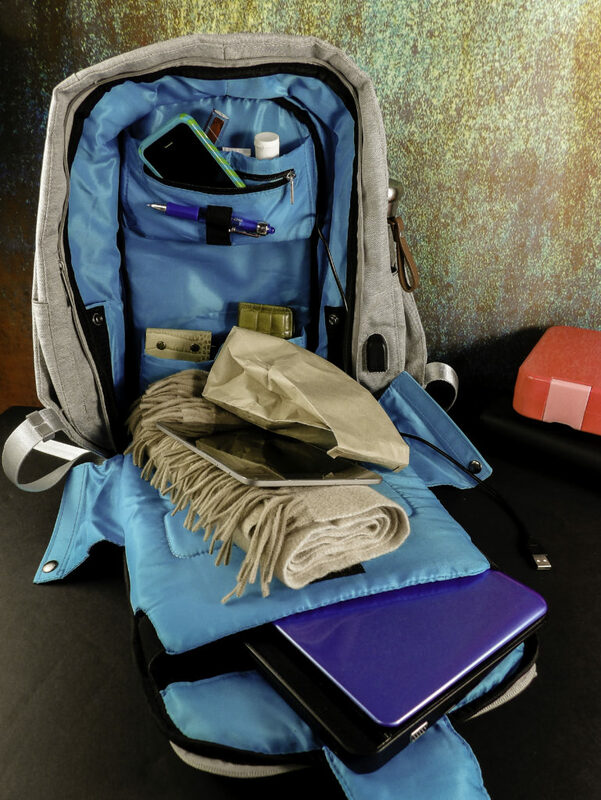 But not just any laptop backpack will keep your valuables safely concealed and protected while in transit. And it is not just the cost of the gear, it’s also your work product and photos at risk. 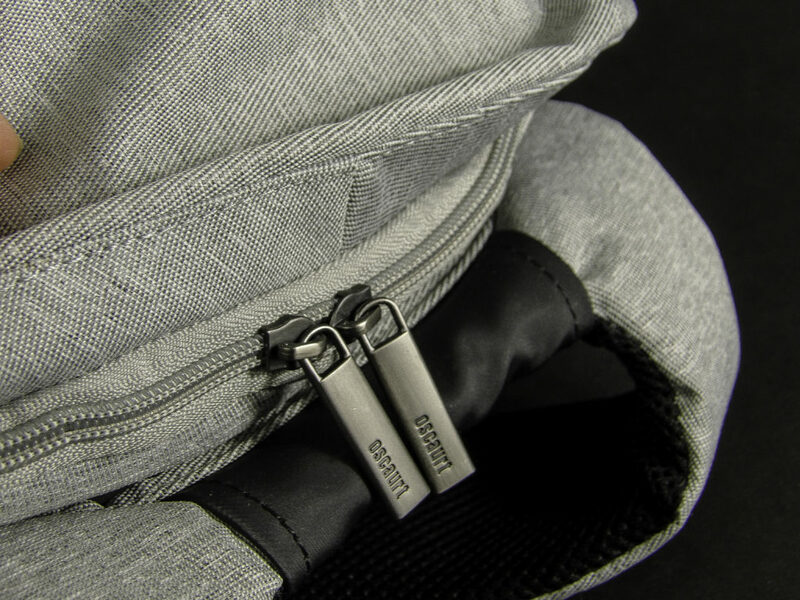 To keep these valuables safely concealed with the Oscaurt Anti-theft Travel Backpack Laptop Bag with USB Charging Port, a bag that is stylish enough to look professional but safe enough to carry your most valuable laptops. The Oscaurt Anti-Theft Laptop Backpack is a stylish and ergonomically built, well padded and sturdy backpack that safely holds a concealed laptop and wares in padded inner pockets, as well as multiple internal hidden zipper pockets and sleeves for concealing valuables like cash, passports, phones, tablets, credit cards, as well as work accessories including space for paper presentations, USBs, glasses, pens, paperwork, and even jewelry. 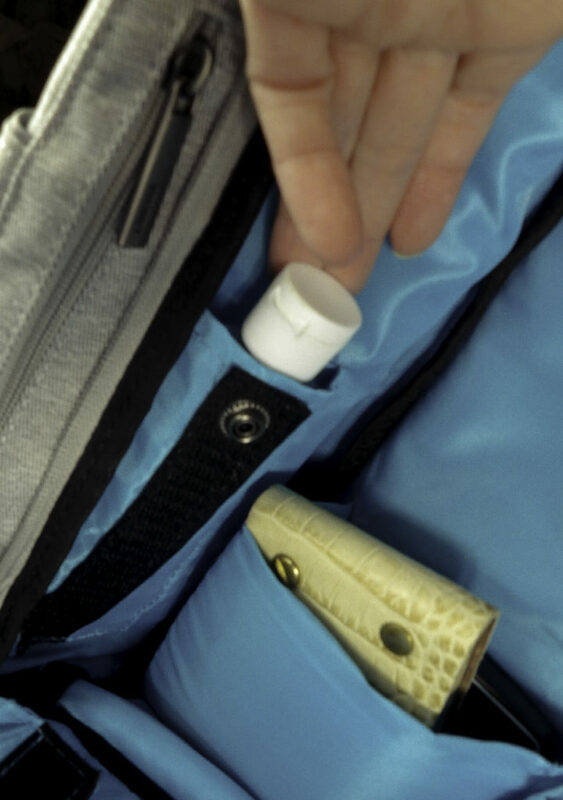 With its’ accessible water bottle compartment and built-in USB charger port, it is ideal for the fashionable overnight traveler who carries expensive laptops, cameras, drawing tablets and other equipment around campus or work, or for those who commute or walk through crowded areas with valuable items they wish to keep safe. 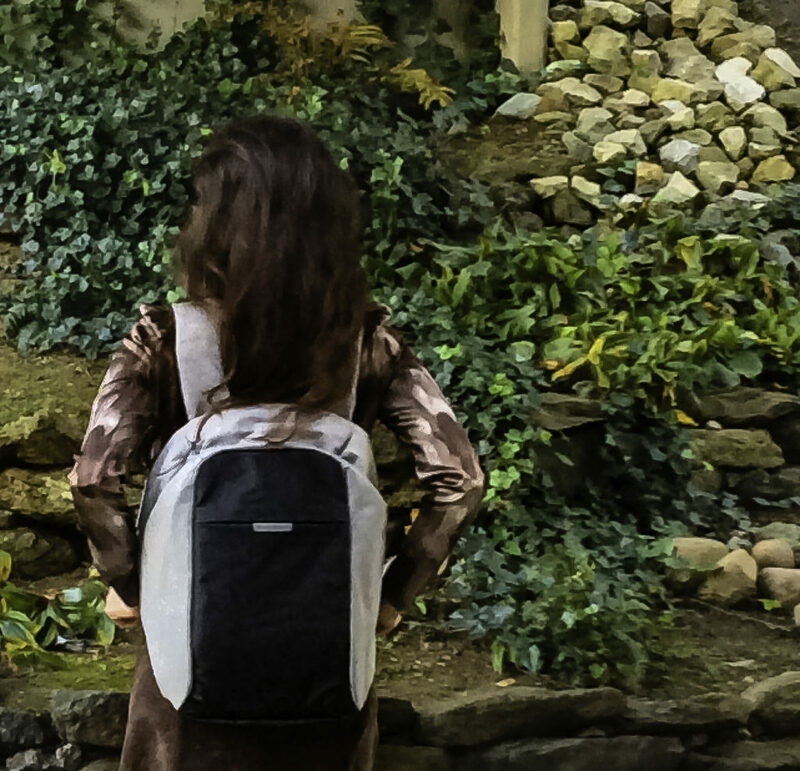 This bag is intended for the needs of an adult professional, traveler or student who carries their laptop with them for professional, academic or personal use. 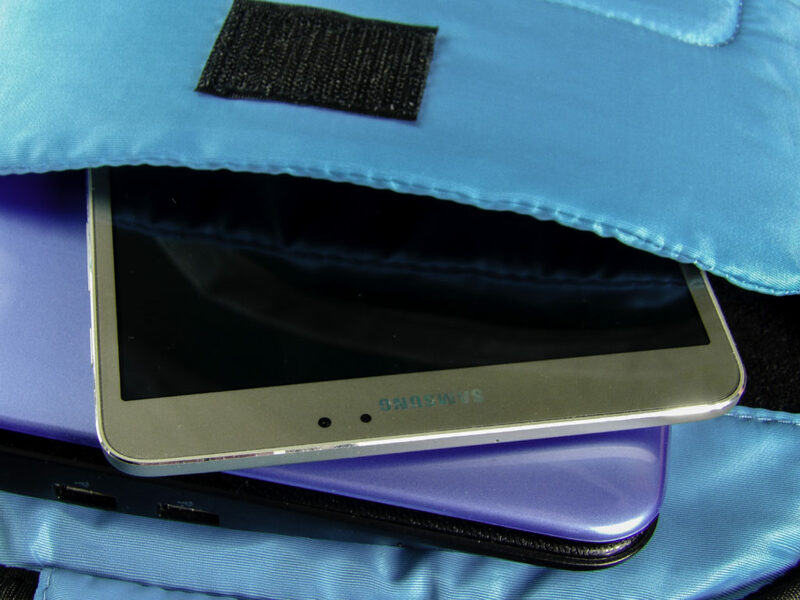 Whereas junior high school style bags have large capacity single space compartments to accommodate textbooks and a lunchbox, that style backpack can’t protect valuable electronics. 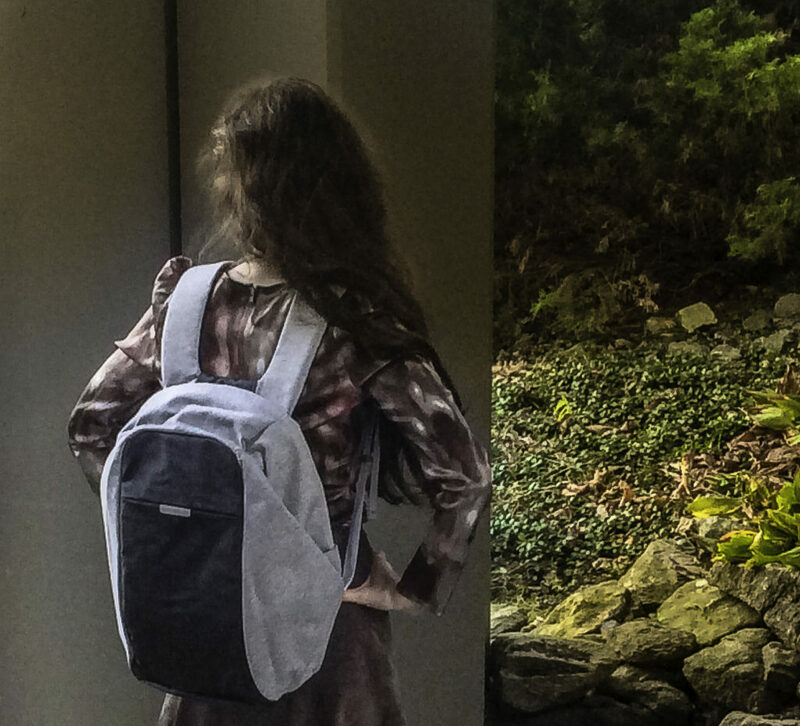 The Oscaurt Anti-Theft backpack is geared for adults who carry a laptop to work or school, and it is ideal for someone who likes to work remotely at a coffee shop because they can carry their laptop and all their supplies neatly in all the pockets, it’s like having a portable office stored safely within a convenient backpack! 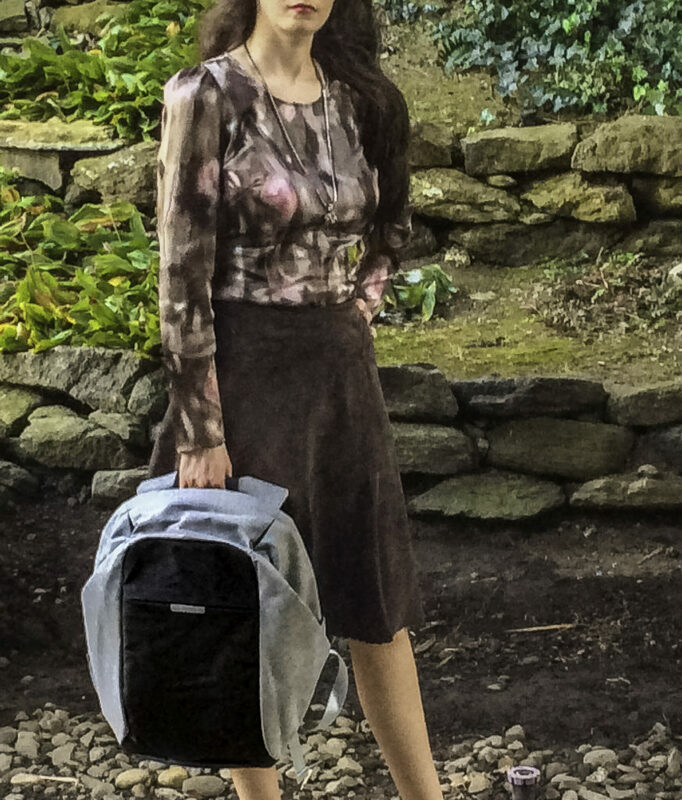 The Oscaurt Anti-Theft laptop backpack is made with a color scheme of black and metallic silver with a light sheen that matches nicely with many colors, such as this icy pink, platinum, and purple variegated blouse. The colors are neutral and work for both males and females. 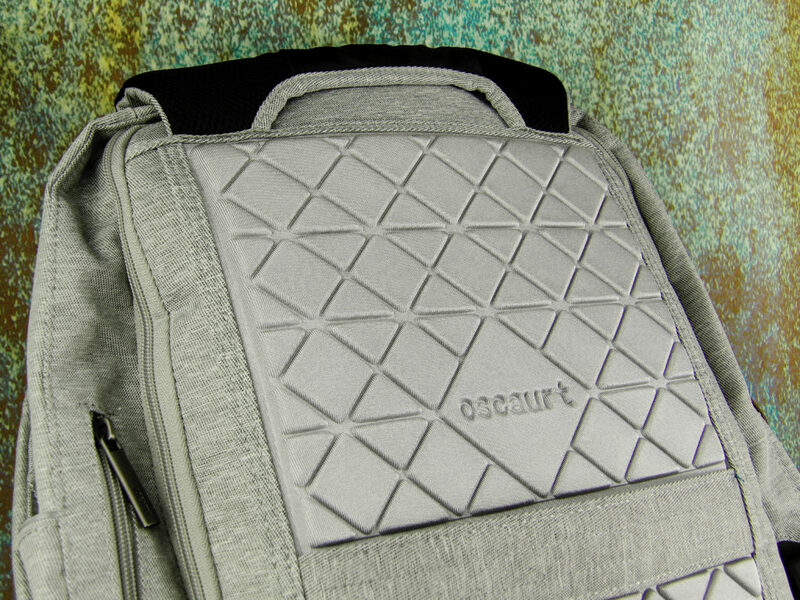 COMFORT PADDING: The shoulder straps and inside back of the backpack have a quilted impact cushion back for maximum comfort and ergonomic carrying of heavy items. 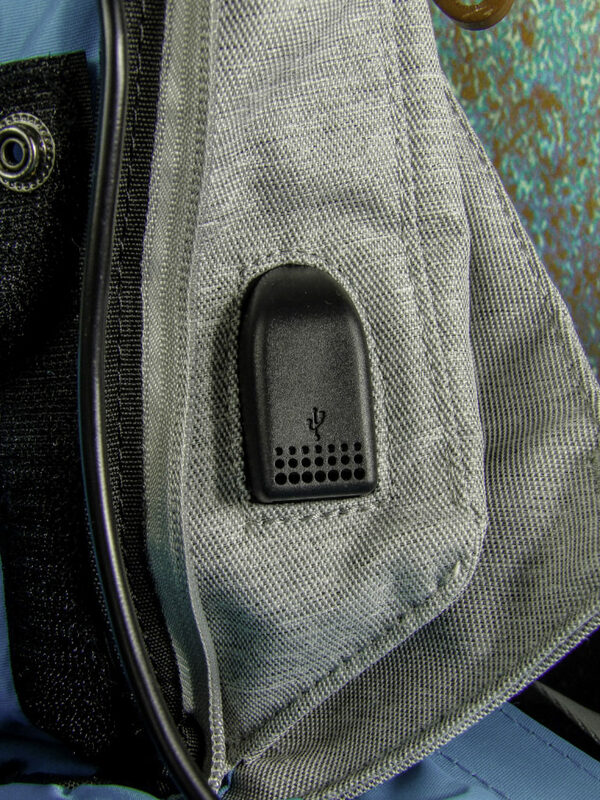 PICKPOCKET-PROOF ANTI-THEFT CONCEALED ZIPPER: Deter pickpockets and thieves from identifying access to your bag contents with the hidden zipper. 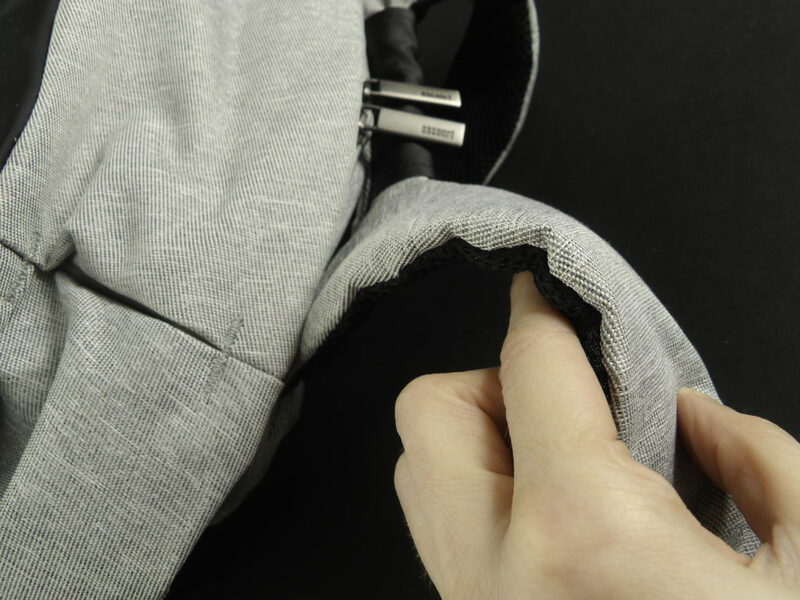 The zipper of the main pocket is fully hidden in the back of this bag, no theft will easily open your backpack. 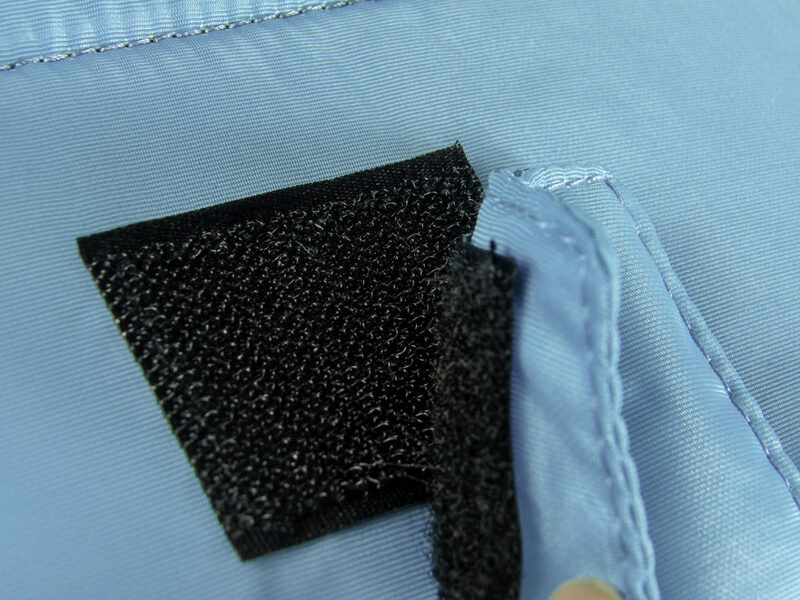 NIGHT SAFETY REFLECTIVE TAPE: This is a feature I have never seen in an adult laptop case before and it is an excellent idea: there’s reflective tape on the front of the bag to make the bag conspicuous at night, making it safer to walk at night. If you take night classes, this is very worthwhile for walking home or to your car. Most professionals dressed for work would not be wearing any reflective clothing, so this makes night time classes so much safer. 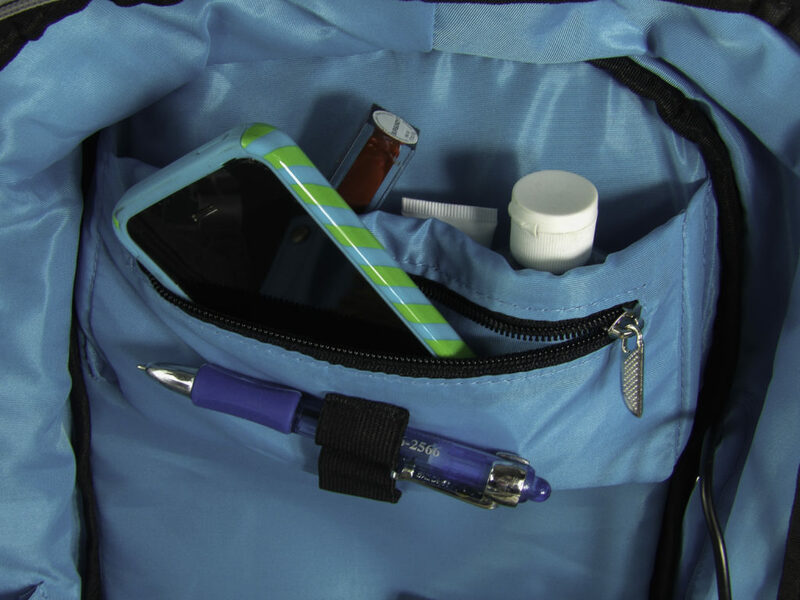 This also makes the bag very useful for those who work the night shift or late hours, such as in a hospital. USB CHARGE PORT CABLE: External USB with built-in charging cable offers a convenient charging of your electronic device on the go, such as phones or tablets. CONVENIENT SIZE AND CAPACITY: Not too big to carry yet large enough to hold all your in-transit computer needs. The size is 11.02″ x 4.92″x 16.93″ inches. 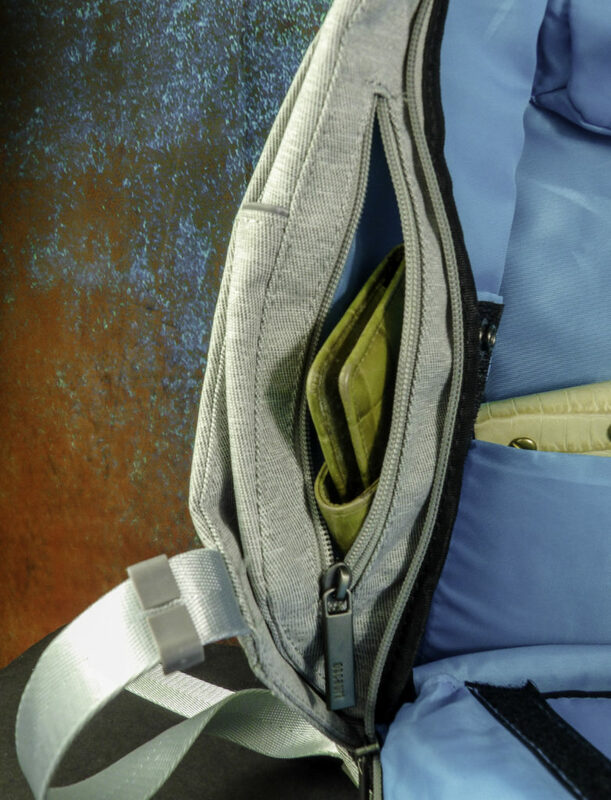 Deep pockets to hold notebooks, gear, wallets, glasses, camera cases, etc. 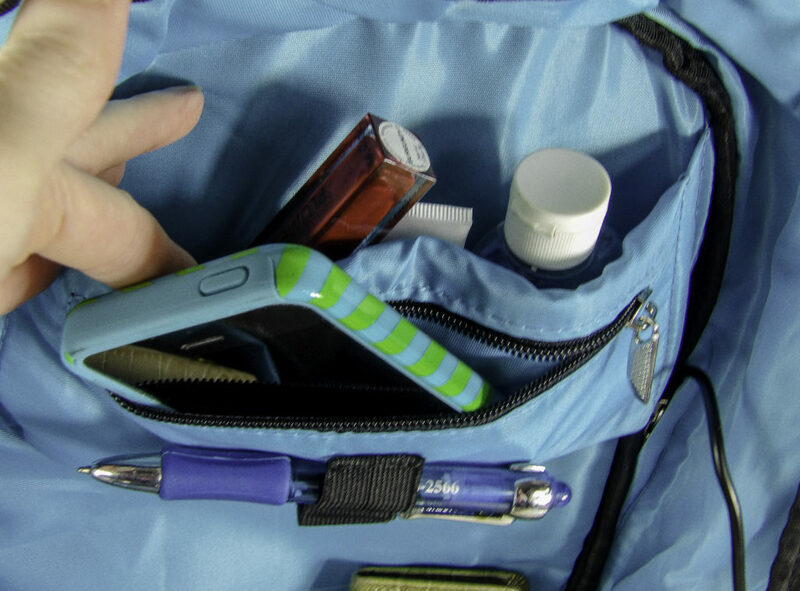 ZIPPERED POCKETS: to hold small items such as keys, pens, wallets, cellphones, books, credit or gift cards, etc. SO MANY POCKETS! The bag is sturdy and holds my laptop safely as well as all my gear including a sketchbook, notepad, my tablet, scarf, my bento lunch box, my computer glasses and sunglasses, my phone and other gear. There is room to store my drawing tablet in addition to my laptop. The laptop compartment is padded and safe. The material holds up well, it is a high-quality EVA. 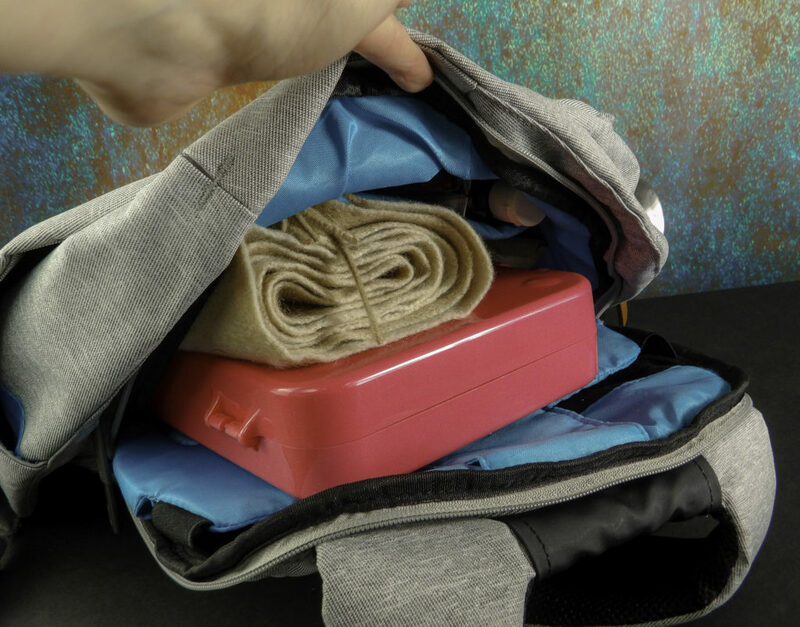 I like this because if I overpack the bag, it will not damage it or stretch it out. 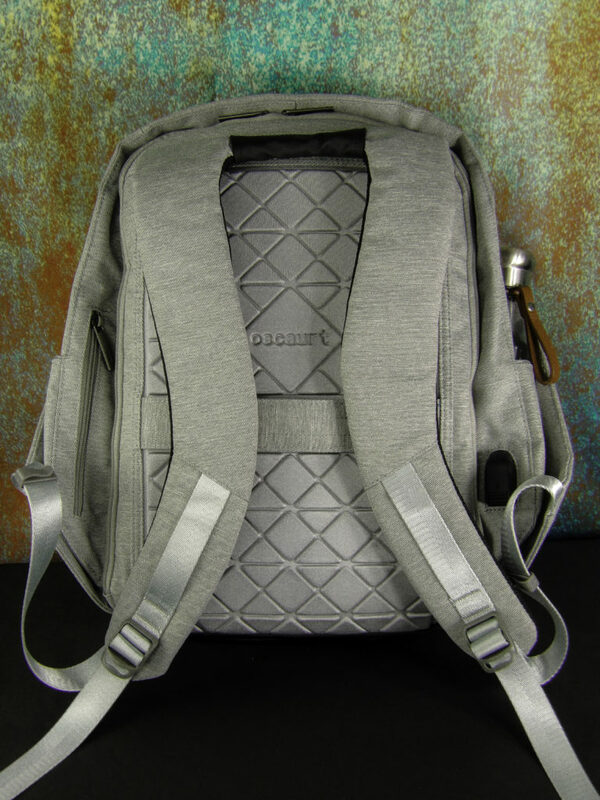 It is comfortable carrying it both by the shoulder straps and by the handle. 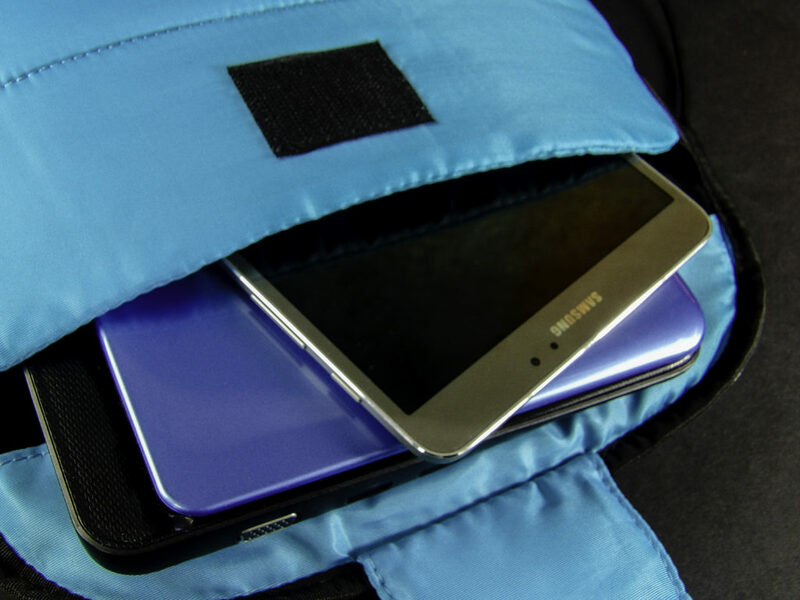 I really like that the back of the case has a special padded material that both creates a cushion and reduces heat conduction so that it is comfortable to carry the backpack even in hot weather. 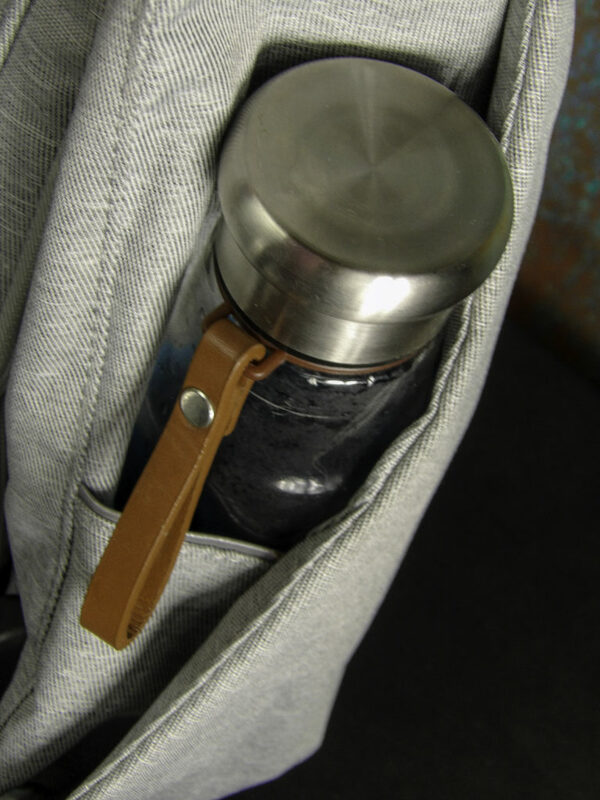 The hidden zipper is easy to access if you know where it is, and the side pockets are deep enough to accommodate my oversized water bottle without tipping over. The USB Port cable is very useful when using my laptop at a coffee shop and I want to charge my phone while I work. Are you looking to buy a gift? 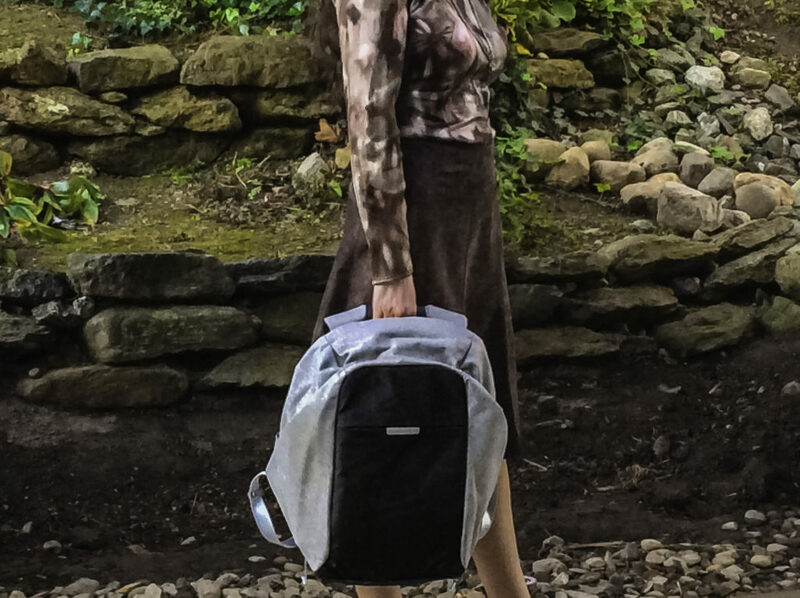 The Oscaurt Anti-Theft Laptop Backpack makes for a great gift for either a man or woman, especially a student, a commuter, a traveler, a website designer, artist, computer programmer, techie, consultant, photographer, writer, blogger, teacher or any professional who carries a laptop with them and wishes to keep the laptop concealed. Know someone who likes to take their laptop to do their work at a coffee shop? This laptop case is ideal for them, there is even a pocket to stash away a Starbucks gift card for a coffee emergency! 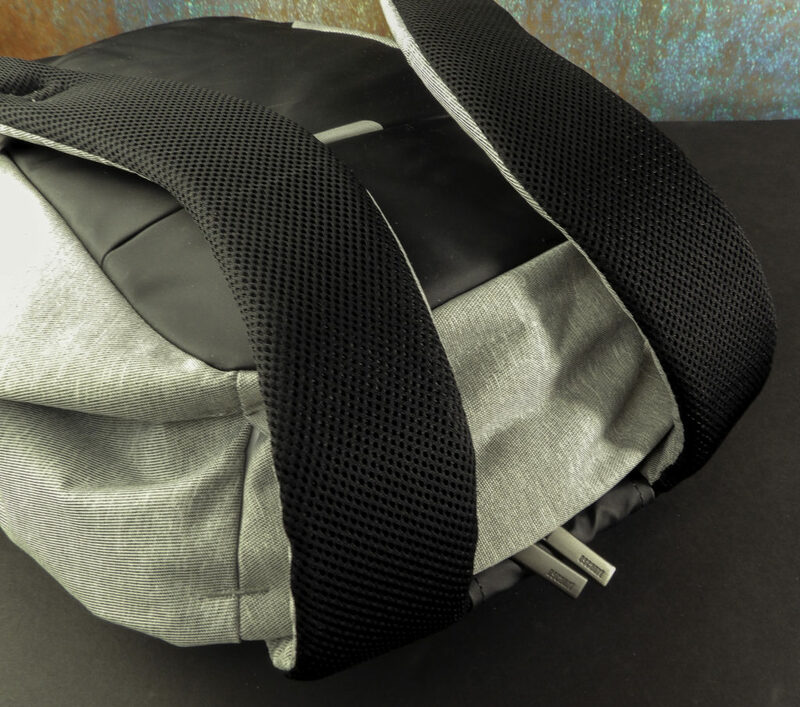 A sturdy, stylish laptop backpack with enhanced security features, water bottle pocket, and numerous storage options makes an ideal travel laptop case for professionals and students. 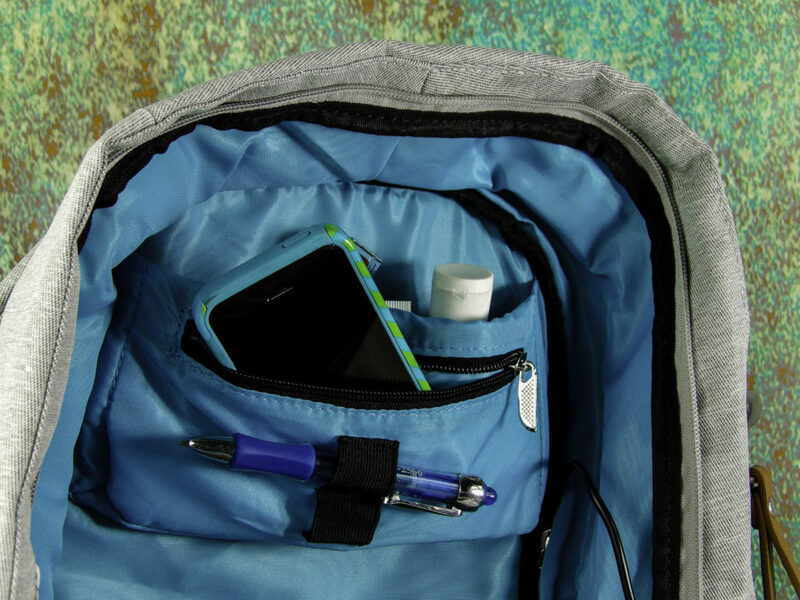 With unique features like waterproof material, USB port charging cable and safety night light reflector tape, the Oscaurt Anti-Theft Laptop Backpack creates a portable office on the go to work while traveling, consulting at a clients’ office, taking night classes and working from a coffeehouse or any other remote location, while keeping your laptop and gear securely held in a theft-proof designed encasement. 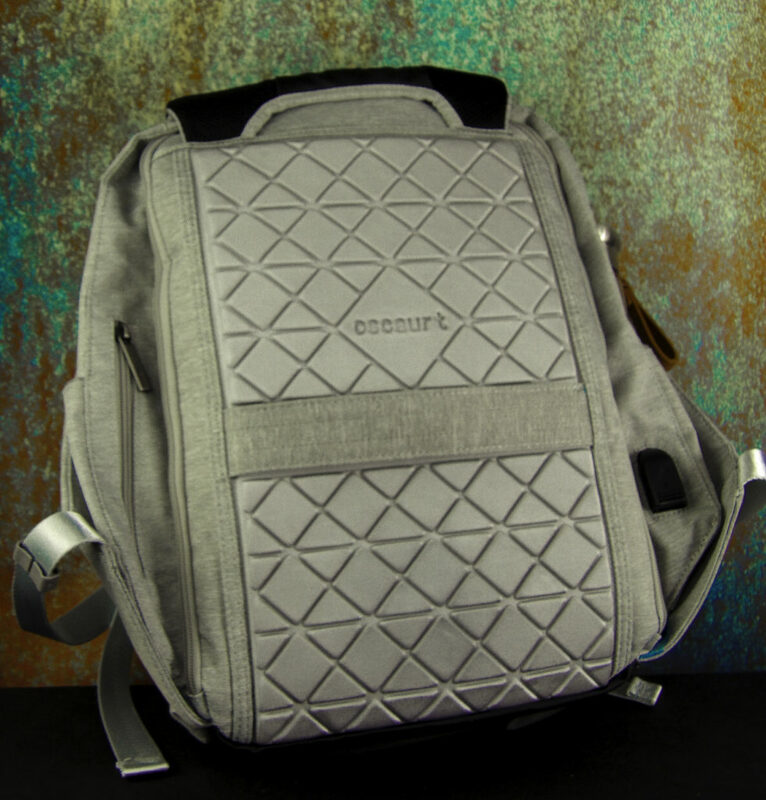 Waterproof and comfortable to wear, the Oscaurt Anti-Theft Laptop Backpack makes a great gift for a man or a woman on the go. 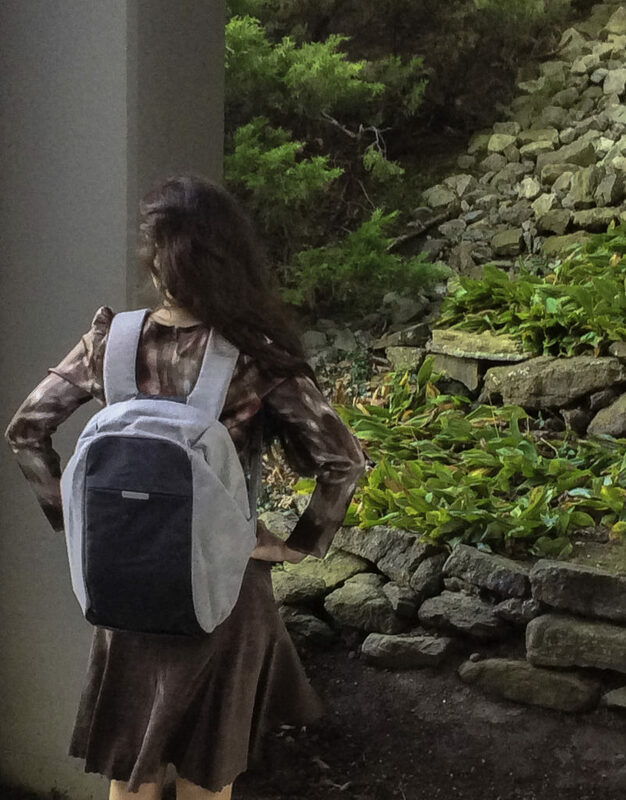 Style Chicks received the Oscaurt Anti-Theft Laptop Backpack in exchange for our unbiased review and received compensation for our time and effort. However, our experience with the product and the opinions expressed in this review are 100% ours. I love how safe the pockets are. That spot is gorgeous! Great for a picnic! This is a fantastic backpack! I always feel like all my stuff is on display whenever I open my backpack. 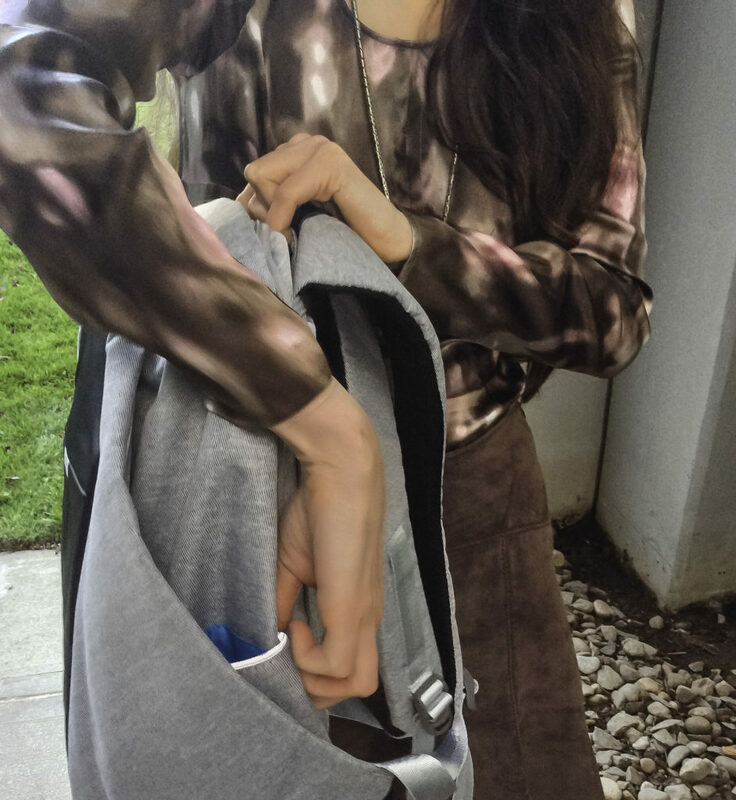 I’m in college – definitely need a backpack that has anti-thief pockets!